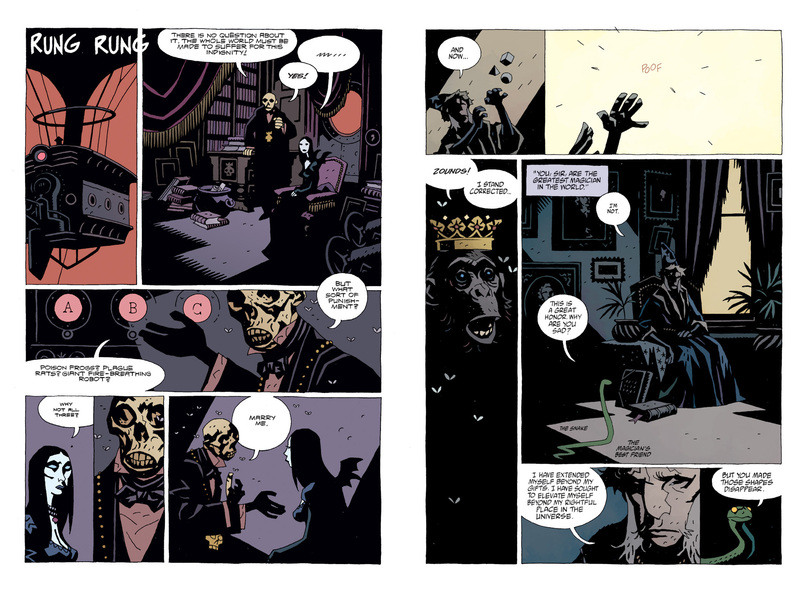 Mike Mignola’s Hellboy has always teetered on the edge of ridiculousness, from his own name to many of the creatures and circumstances that he finds himself dealing with. 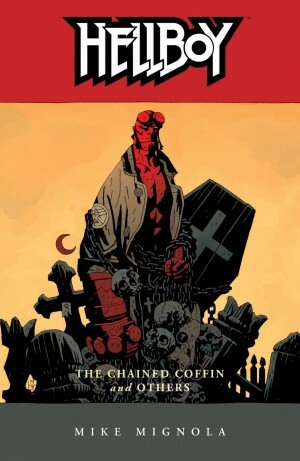 The self-aware humour is often what saves Hellboy’s battles against giant monsters and Nazis from being just a little too obvious, and in The Amazing Screw-On Head Mignola finally goes all the way into a joke-filled parody of his work and the fantasy/supernatural genre it’s built on. The title story is a relatively short and fast escapade that Mignola mostly improvised as he went along. It’s a 19th century steampunky brew of science, vampires, zombies and airships. Screw-On Head is a robotic head. His neck has a spiral thread (like a screw) so that he can insert his head into any number of robot bodies, each equipped with special gadgets for the job at hand. President Abraham Lincoln, speaking via a giant video screen to his most special agent, Screw-On Head, tells him that ‘the Kalakistan Fragment’ has been stolen from the Museum of Dangerous Books and Paper by the villainous Emperor Zombie. This piece of parchment is a map to a ‘melon-sized jewel’ that will give the finder the power to conquer the world, but nobody has been able to decipher it. Unfortunately for the world, Emperor Zombie is a master of ancient languages. Mignola’s brooding and atmospheric artwork adapts surprisingly well to this completely silly parade of goofiness, which won an Eisner award (and was later adapted into a 22-minute cartoon which you can find on YouTube). The other stories in this collection include ‘The Magician and the Snake’, a very short story written by Mignola’s then seven-year-old daughter, a funny and weirdly poignant little tale that won another Eisner. ‘Abu Gung and the Beanstalk’ is a gloss on the classic fairytale which also links to events in Screw-On Head. It was originally included in a 1998 Dark Horse anthology Scatterbrain but has been redrawn and expanded for this collection. ‘The Witch and her Soul’ is about two puppets who must do a deal with the Devil. ‘The Prisoner of Mars’ is a comedy mash-up of Edgar Rice Burroughs, Lovecraft and H.G. Wells in which a Victorian scientist dies and his ghostly essence travels to Mars, inhabits a robot body, almost betrays Earth to the Martians who are thinking of conquering it and then finds an explosive solution to his predicament. Lastly is the wordless ‘In the Chapel of Curious Objects’ where the readers’ eye drifts silently across carvings, statues, puppets and witnesses a secret. 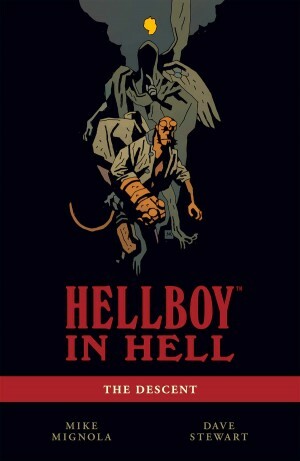 Pages from Mignola’s sketchbook plus a few story notes round off this 104 page collection. 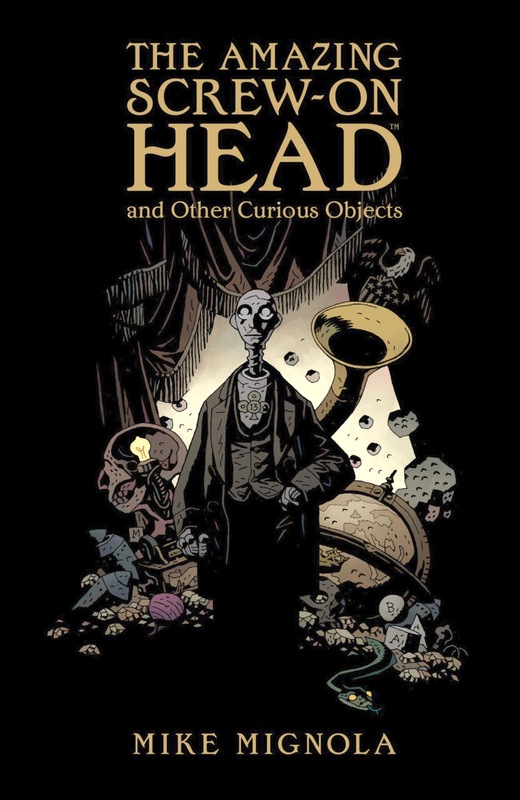 The Amazing Screw-On Head and Other Curious Objects is a very fast read, the stories are funny but this book may seem pretty thin, particularly if you haven’t encountered Mignola’s work before. 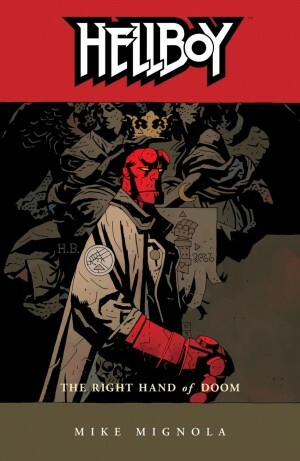 However the deft storytelling and always compelling drawing pulls you briskly through, and fans will notice a lot of references to other parts of his Hellboy universe scattered throughout, including a couple of seemingly throw-away things that will return in a major way later in the series. 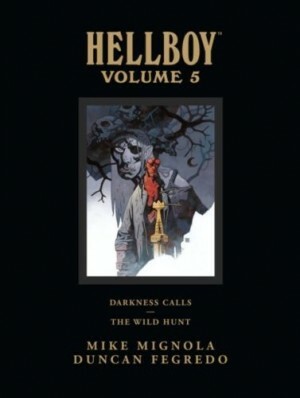 The stories in this collection are also available in Mike Mignola’s The Amazing Screw-On Head and Other Curious Objects: Artist’s Edition, a very large hardcover book that presents the original black and white art pages, scanned at actual size. It also includes art for stories including two short Hellboy tales, cover art and pin-ups for books including Hellboy in Hell, Hellboy and the B.P.R.D., Abe Sapien, B.P.R.D., Baltimore and others.